More than 70 million people around the world have experienced the phenomenon of Disney’s THE LION KING, and now you can, too, when Vancouver’s best-loved musical returns to the Queen Elizabeth Theatre. Winner of six Tony Awards®, including Best Musical, this landmark musical event brings together one of the most imaginative creative teams on Broadway. Tony Award®-winning director Julie Taymor brings to life a story filled with hope and adventure set against an amazing backdrop of stunning visuals. THE LION KING also features some of Broadway’s most recognizable music, crafted by Tony Award®-winning artists Elton John and Tim Rice. There is simply nothing else like THE LION KING. Disney's The Lion King was one of my favourite movies growing up so I am very excited that Broadway Across Canada is bringing Disney’s THE LION KING to Vancouver in June/July! If you are fan like me, you'll have to catch it when it is here! All the people I've spoken to who have watched it before says it's a show definitely worth seeing! Broadway Across Canada is holding a presale of the tickets this Friday, February 20th, 2015 at 10AM (details and pre-sale link below). You'll have a chance to snag the best seats then! NOTE: The ticketmaster link will not be active until 10AM on Friday, Feb 20. 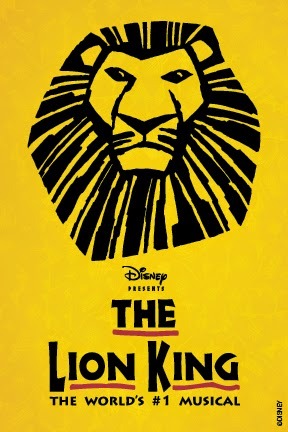 Vancouver, Monday, February 16, 2015 - By popular demand, Disney’s THE LION KING will return to Vancouver for the first time since its triumphant premiere engagement in July 2010, where the production played a sold-out run at the Queen Elizabeth Theatre. This exclusive 4 -week return engagement at Queen Elizabeth Theatre begins Thursday, June 18, 2015 and plays through Sunday, July 12, 2015. Opening night is set for Friday, June 19, 2015 at 7:30pm. Individual tickets for THE LION KING will go on sale to the general public on Monday, February 23 at 10am. Beginning in January 2015, subscribers to the 2014 Series and the 2015 Series had the first opportunity to purchase tickets to the production. Subscribers to the 2015/2016 series will see THE LION KING in a designated week of the engagement. Tickets will go on sale to the general public on Monday, February 23, 2015 at ticketmaster.ca or by calling 1-855-985-5000. Tickets start at $35.00 (plus applicable service charges). Reservations for groups of ten (10) or more are now being accepted by calling 1-800-889-8457. Additionally, Premium Ticket Packages are available which include a prime seat location, a commemorative souvenir program and an exclusive merchandise item. The North American touring productions of THE LION KING have been seen by more than 15 million theatergoers and grossed over $1 billion to date. Having already played more than 70 cities across North America, THE LION KING now proudly returns to Vancouver’s Queen Elizabeth Theatre. The current schedule is listed below. In its 18th year, THE LION KING remains ascendant as one of the most popular stage musicals in the world. Since its Broadway premiere on November 13, 1997, 22 global productions have been seen by more than 75 million people and, cumulatively, run a staggering 112 years. Produced by Disney Theatrical Productions (under the direction of Thomas Schumacher), THE LION KINGis only the second show in history to generate five productions worldwide running 10 or more years. Translated into seven different languages (Japanese, German, Korean, French, Dutch, Spanish and Portuguese), productions of THE LION KING can currently be seen on Broadway, London’s West End, Hamburg, Tokyo, Madrid, Sao Paulo, Sydney, Australia and on tour across North America, the U.K., and Japan. The Australian production marks the tenth concurrent worldwide production of THE LION KING, the highest number of productions running at any one time in the show’s history. Having played 19 countries on every continent except Antarctica, THE LION KING’s worldwide gross exceeds that of any film, Broadway show or other entertainment title in box office history. Week 1: Thursday, June 18 through Saturday, June 20 evenings at 7:30pm, Sunday, June 21 evening at 6:30pm. Matinees runSaturday, June 20 at 2pm, Sunday, June 21 matinee at 1pm. Week 2: Tuesday, June 23 through Saturday, June 27 evenings at 7:30pm, Sunday June 28 evening at 6:30pm. Matinees runThursday, June 25 and Saturday, June 27 at 2pm, Sunday, June 28 at 1pm. Week 3: Tuesday, June 30 through Saturday, July 4 evenings at 7:30pm, Sunday, July 5 at 6:30pm, matinees Saturday, July 4 at 2pmand Sunday, July 5 at 1pm. Week 4: Tuesday, July 7 through Saturday, July 11 evenings at 7:30pm. Matinees run Thursday, July 9 at 2pm, Saturday, July 11 at 2pm and Sunday, July 12 at 1pm.